And speaking of play – come play along with us at Another Freaking Scrappy Challenge this month where you can scrap about your bucket list!! 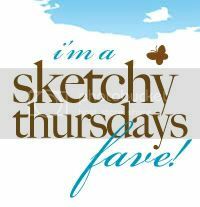 We’ll soon have our sketch challenge for the month up as well! We are versatile about our prompts, you can adapt as long as you keep with the spirit of the challenge!!! And don’t forget we have a design team call that ends on the 10th of the month!!!  I found a couple of new (to me) blogs this week, and made this layout to go along with them. The blogs are Craft-Szafa and Get Creative. 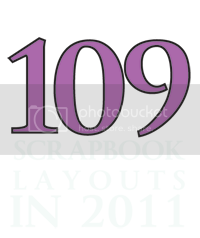 For the Get Creative challenge I scraplifted guest design member Eleni Gianakidou‘s layout. Go to both blogs at the links I provide to see all the details of their challenges!! They are a lot of fun! This layout features my son Chris Pennington, and our grandson Kieran Zwanenburg, playing basketball in our driveway at Easter 2009. What a great time we all had together! 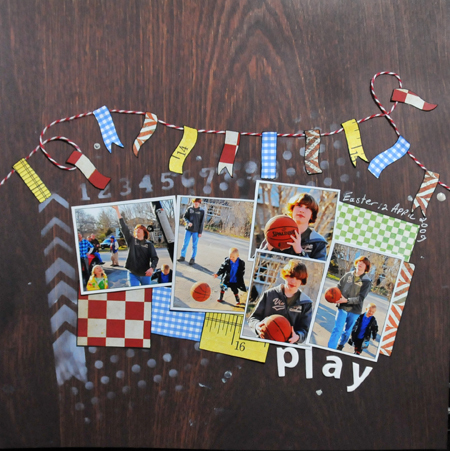 I used October Afternoon Boardroom for the background, and scraps from my scrap bin. 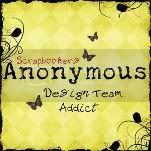 We have another fun challenge over at Another Freaking Scrappy Challenge this month – AND – we have a design team call. See my posting below to see our challenge!! 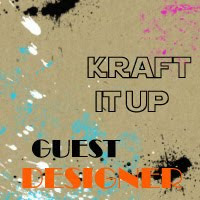 This layout was done for Kraft It Up for their March challenge. I was lucky to be chosen as their guest designer from amongst their international submissions for the January challenge. 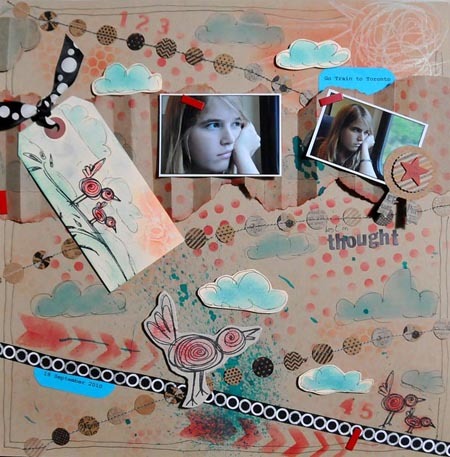 They are playing with a sketch from Scrap Friends this month, and it is really a fun challenge to try!! Hop on over to KIU to try it!! This layout features my daughter Mary Pennington, who is lost in thought on the GO Train on the way to Toronto on an outing she and I made 18 September 2010. The mishmash of objects and lines and little birdies is representative of Mary’s active and abstract mind. I just never know what she is going to come up with next. The cheerful sun and clouds are for her enthusiasm. The squawking bird when it rains on the parade represents how she will fight against unfairness towards anyone. That’s my Mary. But, then, all five of my kids are AWESOME!! what’s on my bucket list? … travel, that’s what! What is on your “bucket list” – your list of items that you want to accomplish before you “kick the bucket”. 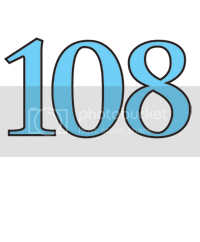 If you have already made a layout on this subject and your list has not been updated – maybe you’d like to scrap about an item from your first list that you have already accomplished or that you want to elaborate on. So anyway – I want to travel. I am retiring 15 May this year, and although I will still be tied at home for a while as Mary finishes high school, I still plan to get some travelling in before she goes. As a matter of fact, I am heading to New Orleans in September with some girlfriends, and I hope there is much more to come.